As one leaves the plains of Chhattisgarh southwards, there is a gentle but unmistakable ascent into the hills. The forest thickens all around as the road winds up serpentine ghats. The hills in the distance, bathed in a misty blue hue, appear to fade into each other. Somewhere along, in a clearing on the side, men with poles slung over their shoulders and women with baskets on their heads, make their way down a forest track in a single file, unmindful of the occasional vehicle going past. The cicadas hum busily as the piecing cry of a jungle fowl rings across. The air is fresh and sweet with the fragrance of wild flowers. One gets an exhilarating sense of coming into something wondrous, beautiful and untouched…..
Far away from India's regular tourist destinations, the tribal districts of Kanker and Bastar straddle central India's eastern uplands and plateau, and are covered with one of its richest stretches of tropical forest. Since time immemorial, these have been home to a pristine world of tribal communities that have created and sustained delicate rhythms of life in harmony with diverse flora and fauna, and are constantly reinventing these in the face of pressures of modernization. For long, the journey into this fascinating land has begun at Kanker. Nestled in the bend of river Dudh, a tributary of the Mahanadi, and framed by an arc of hills, this picturesque town quietly watches over the routes that lead into the interior. Today a district head quarter with a population of 30.000, Kanker, for most of its history, was a kingdom. Descendants of the last ruling dynasty of the Chandravansh are still respected by a town and tribal folk proud of their heritage. Dotted with monuments from the 19th and the early 20th Centuries, the life of the town is a veritable treasure-trove of vignettes. Its principal road, the axis around which the town takes shape, often becomes a virtual bazaar , where tribal folk, attired in bright clothes and quaint ornaments, gather from neighboring hamlets to trade their wares. From all along this road can be seen the Qila Dongri, a majestic hill that towers over the river and township below. A trek to the top is a pleasant experience and takes you to a temple and its adjacent pool and caves, a bagful of lore, and a great view of Kanker. 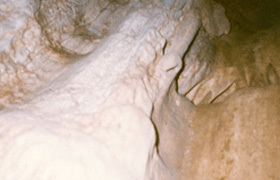 The vicinity of Kanker abounds in sites of natural beauty and archaeological significance. Some of these are easily accessible and make excellent short trips. 30 Kms south of Kanker, amidst dense forest, rise the hills of Keshkal. The road climbs up a spectacular series of ledges in 12 loops. At the top are two picture-perfect Rest Houses which offer an array of breathtaking views of the lush expanse of jungle and the interlocking valleys below. On a rainy day, clouds float about in the ghats and numerous streams spring to life and gurgle down the slopes. As some distance is the tribal village of Bahigaon, famous for its warmth and dances. 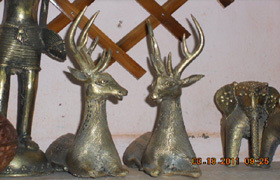 An hour's drive from Keshkal is the craft town of Kondagaon, where several colonies of artists practice exciting traditions in pottery (Kumharpara), wrought iron and bell metal craft. West of Kondagaon, again an hour's drive, is the tribal town of Narayanpur, famous all over Bastar for its Madai, an unbridled celebration of of undiluted tribal culture, and its unique bamboo craft. The Ghotuls, where unmarried youth mix in a bold social custom of courtship, can also be visited in the vicinity. 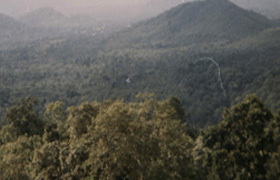 Among several of the region's Forest Sanctuaries is the Wildlife Reserve at Sitanadi, to the north-east of Kanker. An old British Rest House sits atop the central hill around which spreads a dense forest. The Reserve protects, among other species of wildlife, sambhar, bear, leopard, Spoted deer, wolf, line fox, langur, peacock, bird of paradise and jungle fowl. It is also being prepared for the tigers. 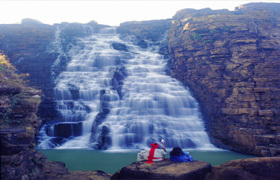 Approximately 30 Kms south-west of Kanker is the reservoir of Dudhawa. A toy-like Rest House on a hill overlooks a vast expanse of water, an ideal setting for angling and bird watching! 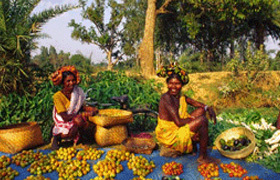 Jagdalpur, the district headquarter of Bastar 106 kms south of Kanker, is the center of this region. Situated on the banks of the seasonally turbulent Indravati, it has been the seat of an ancient kingdom ruled by several dynasties. The present Bhanj Deo-Kakatiya Ruling House traces its ancestry back to the 14th Century A.D., and even today commands an enviable loyalty among among tribals, who vividly remember, through oral traditions, a glorious and tumultuous past Jagdalpur is also a virtual museum of tribal life and arts. At any time of the year, Muria, Maria, Dhurwa, Bhattra and other tribals, attired in the distinctive dress, headgear and ornaments of their tribe, can be seen sitting or walking around its many tree-lined roads. Workshops scattered about the town preserve and encourage an array of brilliant handicraft, developed with industry and ingenuity by a people living amidst nature. Wood, stone (especially the semi-precious corundum), Kosa (a local variety of silk), terracotta and bell-metal, among others, are fashioned into objects with a charm all of their own. The state emporium collects them for display and sale. 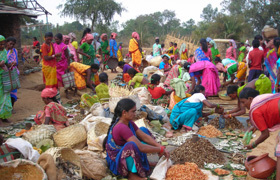 The real feel of the region, however, comes from a day or two spent in the villages and hamlets of Bastar, observing the timeless rituals and customs of the tribes. The Bison-horn Marias of Tokapal, known for their hospitality, dance and weaving, promise a wonderful time. Within a radius of 30Km around Jagdalpur, a host of scenic sites take you deep into the jungle. 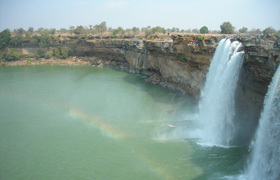 The stupendous falls of the Indravati at Chitrakote, the deep caves at Kailash and Kotumsar, with their stalactite and stalagmite formations, the lively cataracts of Tirathgarh and the crocodile sanctuary at Bhaninsadarra, offer exciting prospects for exploration and picnic.